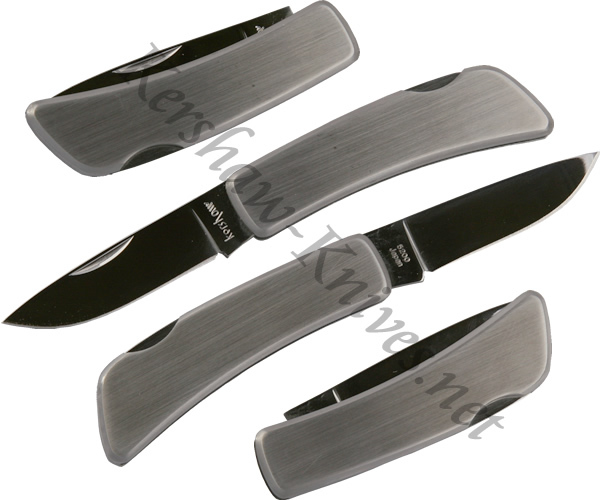 This Kershaw 5200S satin stainless knife has a blade made of quality 420J2 stainless steel from Japan. The flashy handle is crafted from 6061-T6 anodized aluminum. The knife also has a very secure lockback. This small knife would be great for opening mail or boxes, and can be easily carried because it weighs 1.7 oz.